The shape of time - Vérinique Pagé explains how Einstein’s theories of relatively completely altered our view of space and time and gave us the tools to understand the shape of our universe. The unnatural nature of asymptotic approximations - Phil Trinh looks at the Devil’s divergence: Why mathematicians pay a high price in their attempts to approximate real-world phenomena. The limits of computation - There are some problems that just cannot be solved. Greame Taylor explores this concept of undecidability and considers some of the implications for mathematics, practical computing and Artificial Intelligence. Interview: - Keith Briggs, a mathematician in BT’s research department, explains why mathematics has an important role to play in the telecommunications industry. 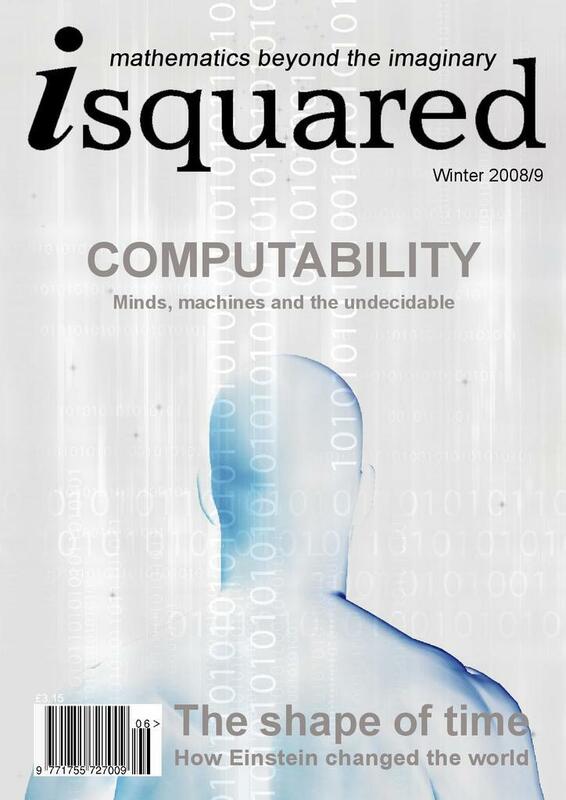 In addition, each issue of the iSquared magazine contains news items, puzzles, a book review and the work of a mathematical great. This issue tells the story of George Green, the miller-mathematician of Nottingham.